The Procare Clog is instantly recognisable from the traditional design which originally inspired it. 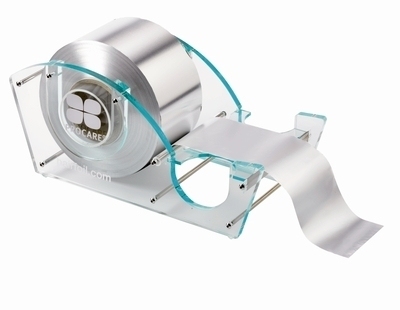 Our version features a patented safety blade to cut the foil neatly and has been brought bang up to date in clear perspex. Not only does that make it look great, but it helps reduce friction making it that bit easier to use. Simple yes, but a real gem.